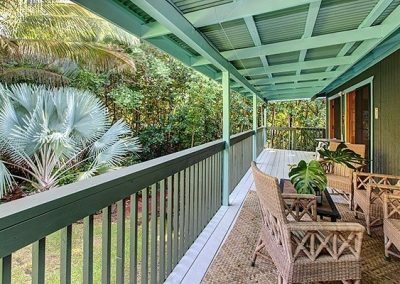 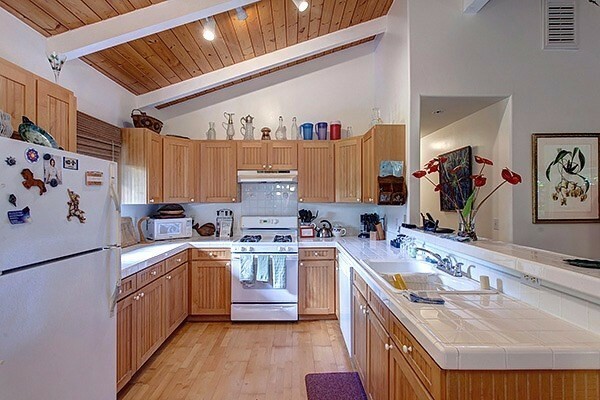 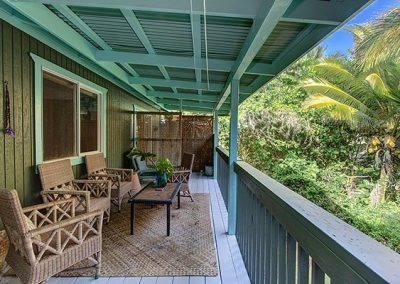 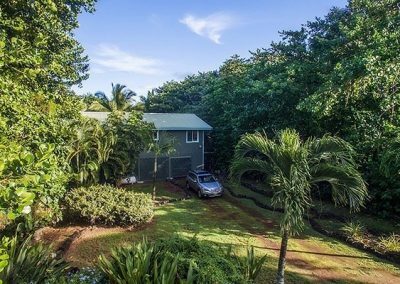 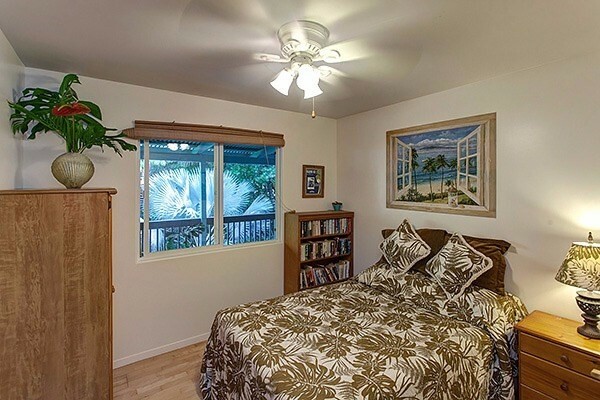 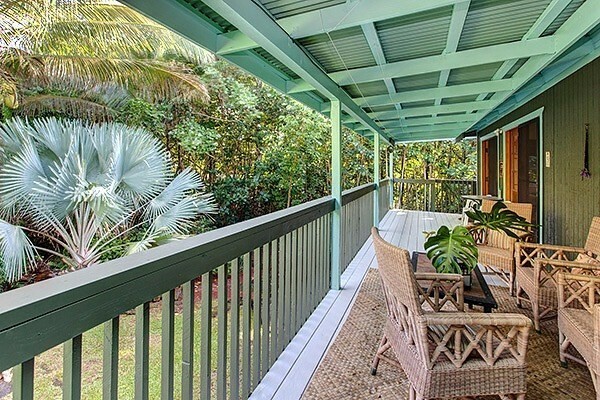 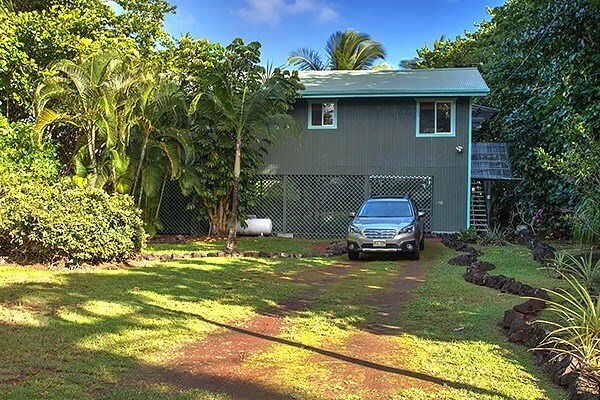 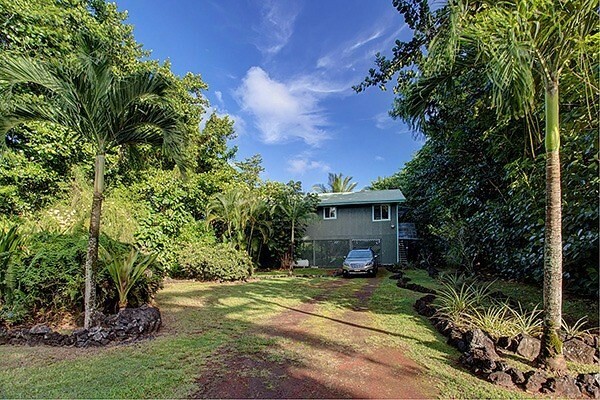 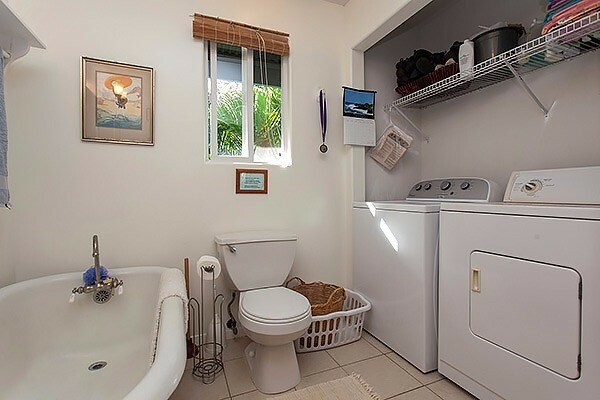 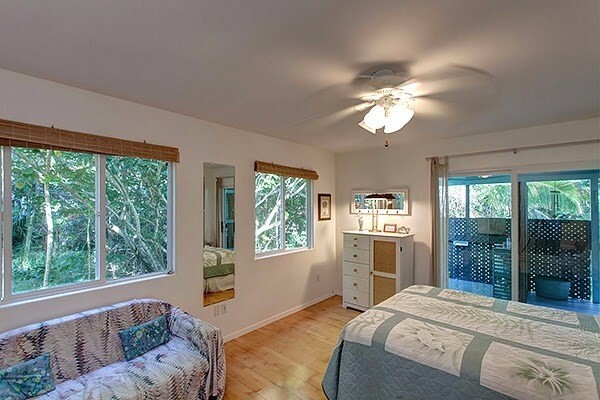 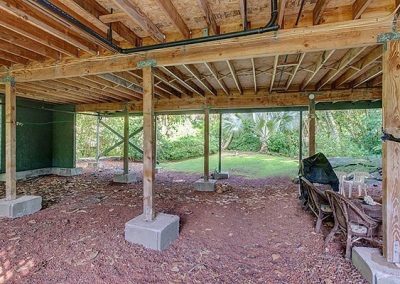 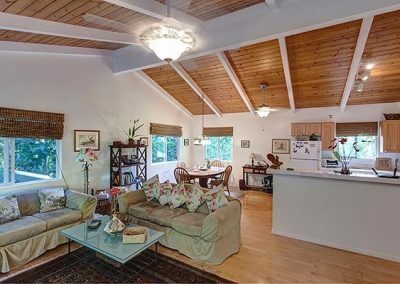 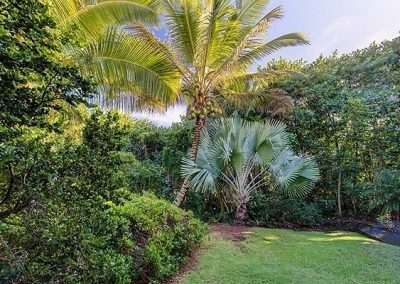 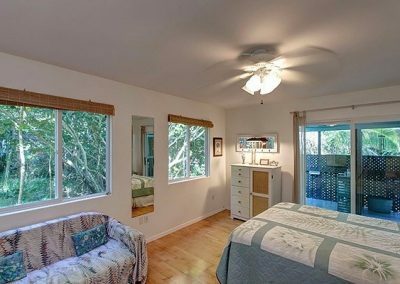 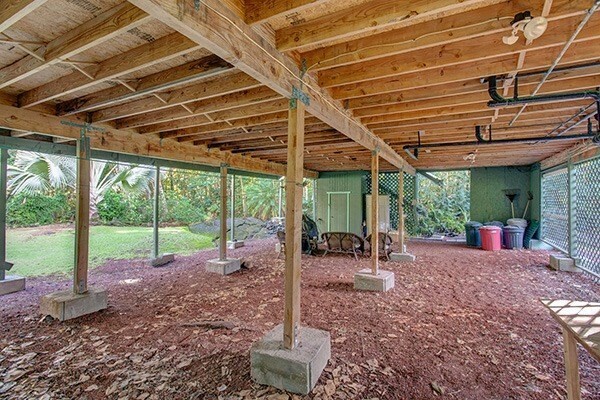 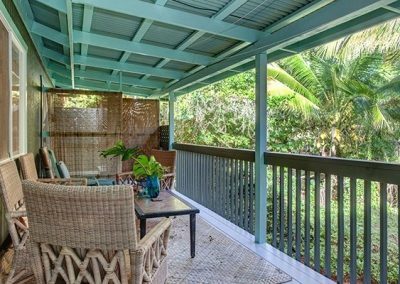 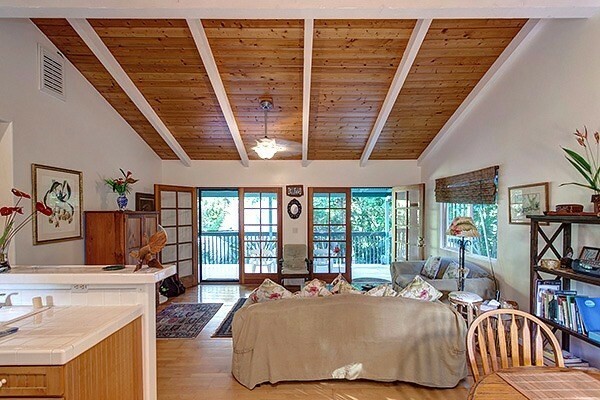 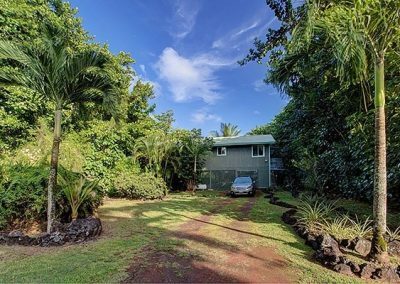 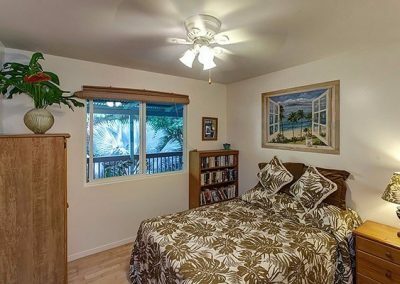 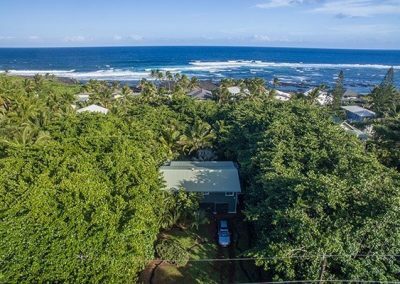 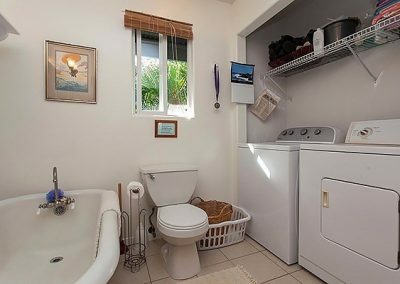 Beautifully maintained, successful vacation rental home located in the coastal community of Kapoho Vacationland. 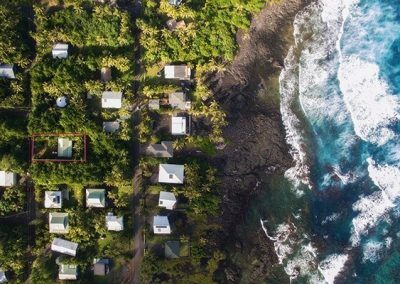 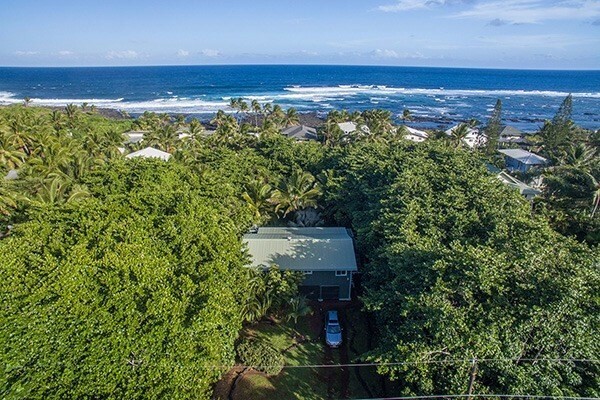 The home, tucked into an 8,000 square feet tropical lot, is just a few minutes walking distance away from the Wai’opae tide pools which many believe has some of the best snorkeling in Hawaii. This 2 bedroom, 2 bathroom, 1056sqft house is an immersion in ultimate island comfort and grand old Hawaiian style. 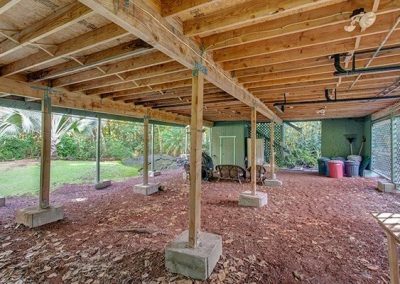 Built on wooden piers to allow ultimate airflow throughout, you enter the home through one of the two sets of French doors off the 352 square feet covered lanai. 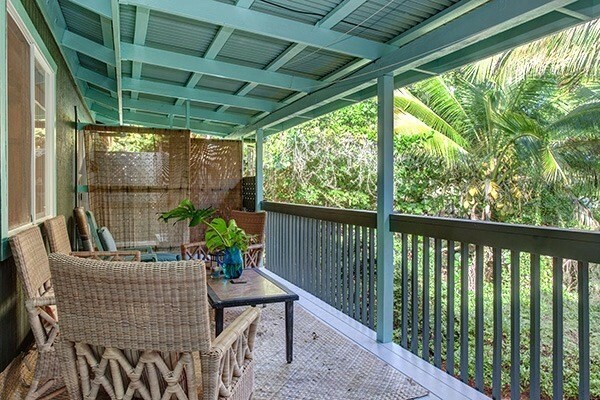 The lanai faces East towards the Pacific Ocean so it catches the daily trade wind breezes and morning light. 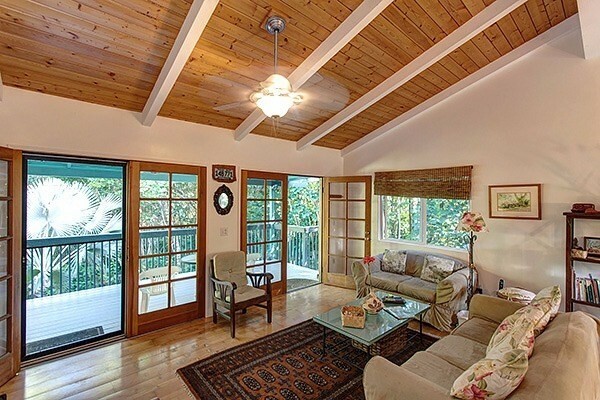 Once inside you will note the open floor plan great for family gatherings or personal peaceful time. 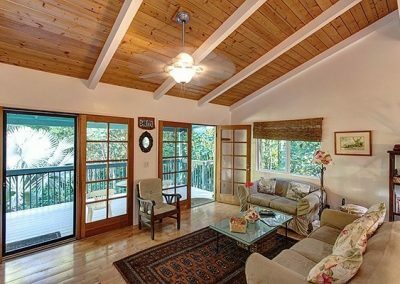 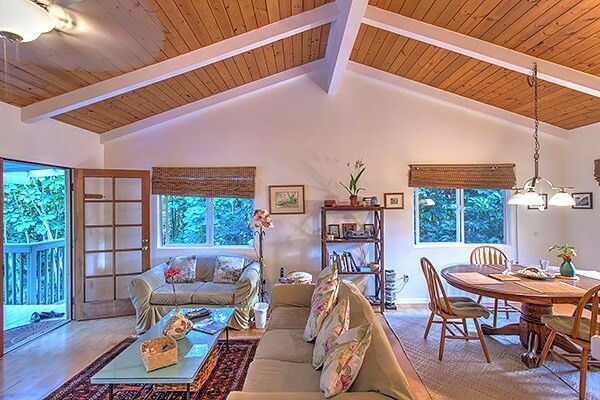 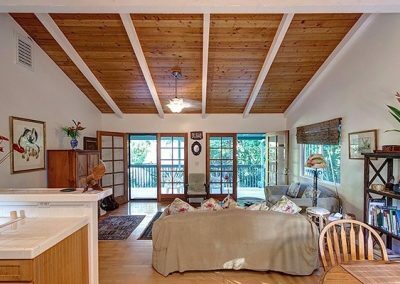 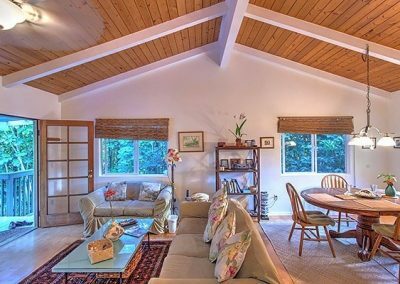 The living area, with its vaulted pine wood ceilings, is large enough for plenty of seating and has direct access to the lanai. 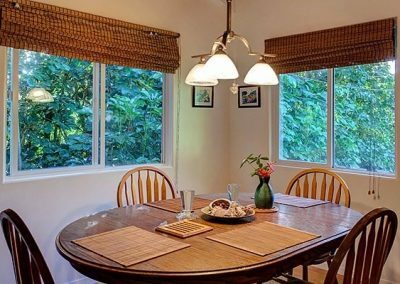 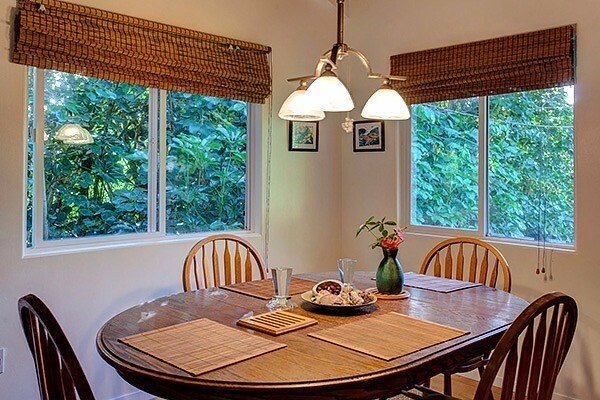 The dining area easily fits a table with six seats and has two large picture windows with views out to the yard. 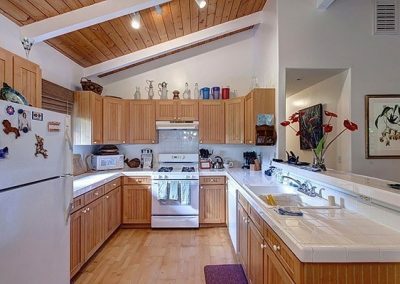 The kitchen has plenty of room to move, bar seating, ceramic tile counter tops, beautiful wooden cupboards and a west facing window allowing for cross breezes. 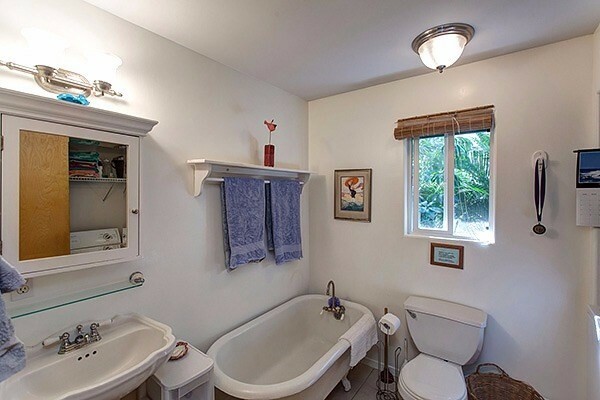 Down the hall is first the guest bathroom and bedroom and at the end is the roomy master suite. 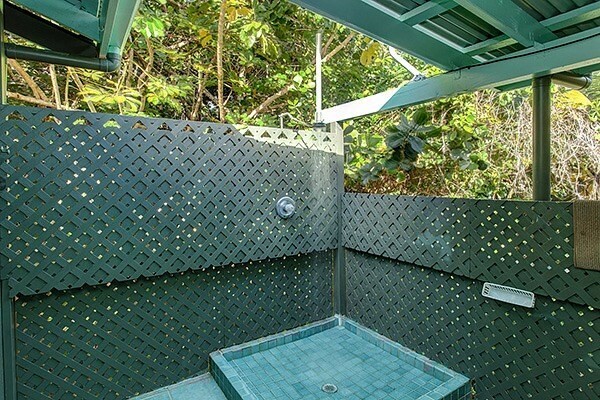 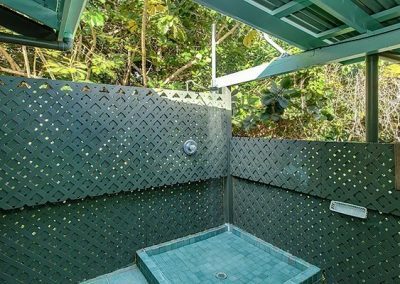 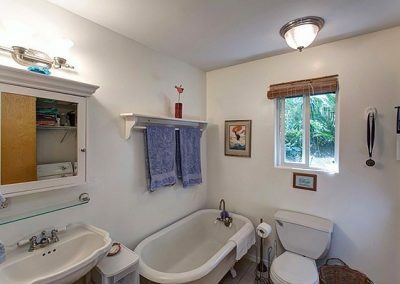 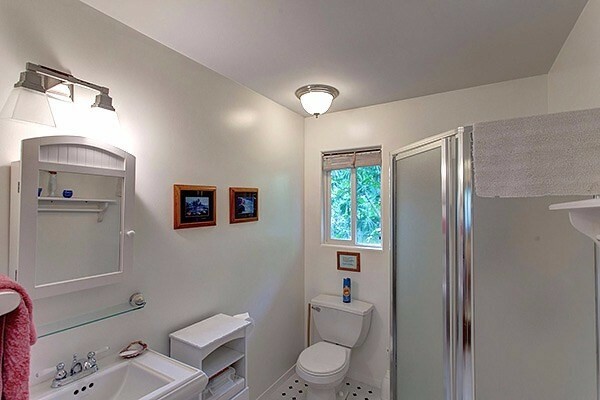 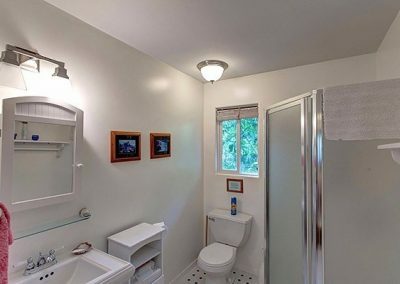 The master bathroom has a classic claw foot tub while the shower is located outside on the deck. 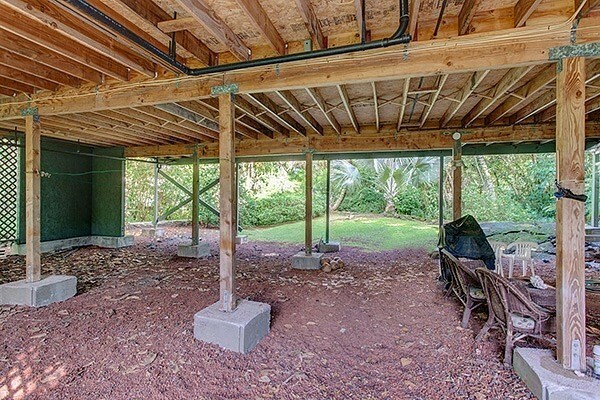 Below the home is plenty of room for covered parking or a workshop/studio. 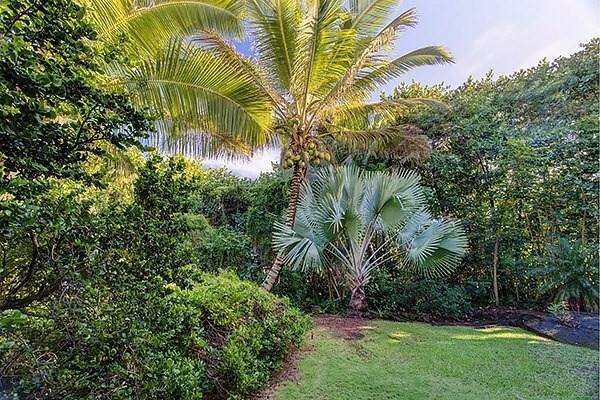 Tropical, easy to maintain landscaping surrounds the home. 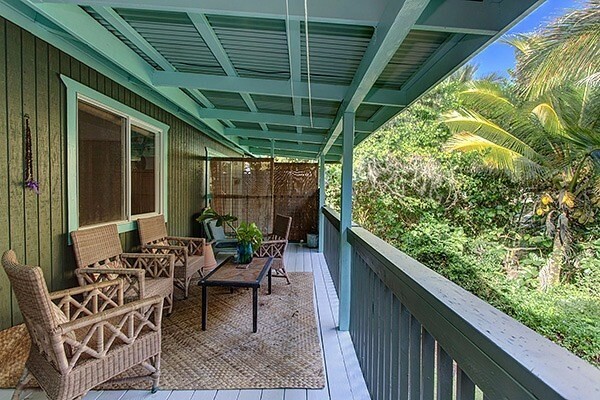 This super peaceful beach house would make a great private residence or keep it as a rental. 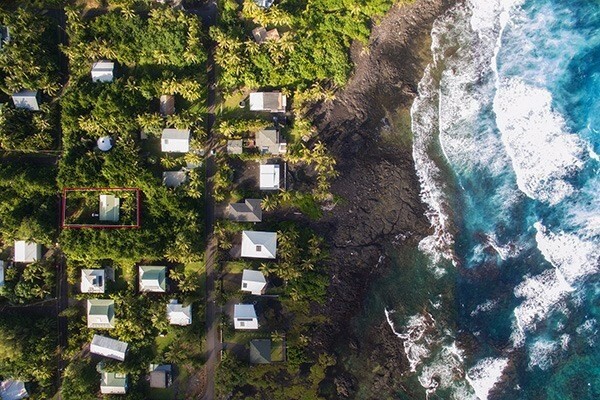 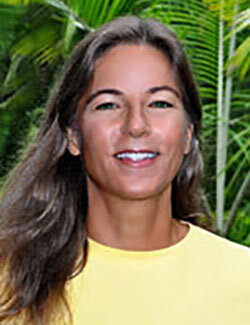 The home is located a short distance to black sand beaches and azure blue seas teaming with sea turtles and dolphins. 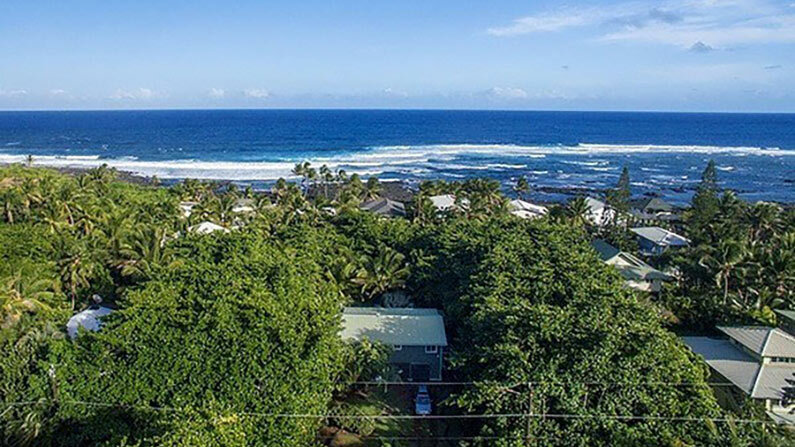 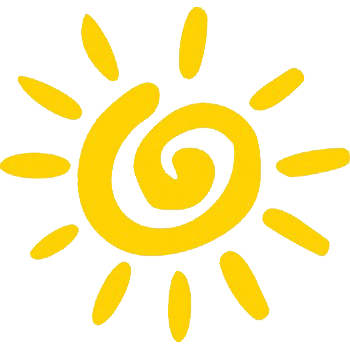 Enjoy thermal hot ponds, surfing, snorkeling, biking and hiking all within a short distance. 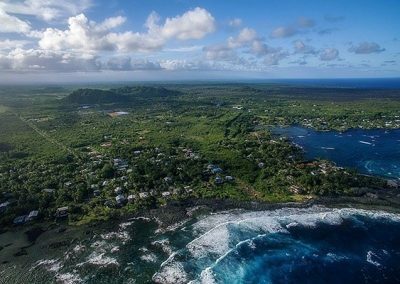 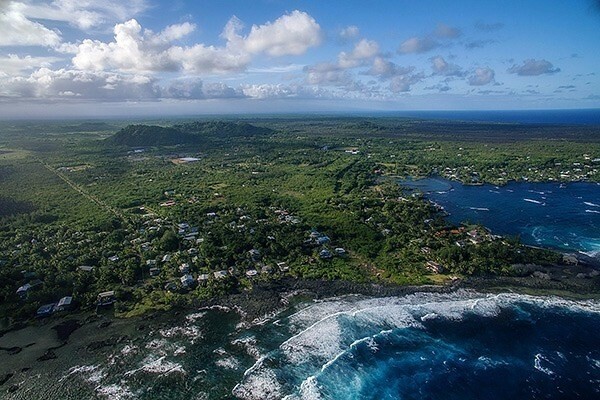 Pahoa Town with its excellent restaurants and quaint shops is located close by. 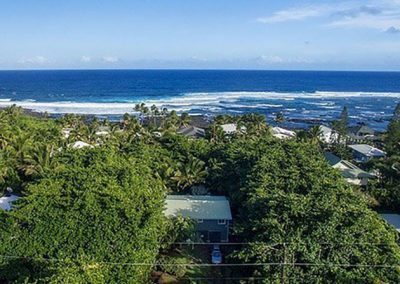 Why not live and work in Paradise! 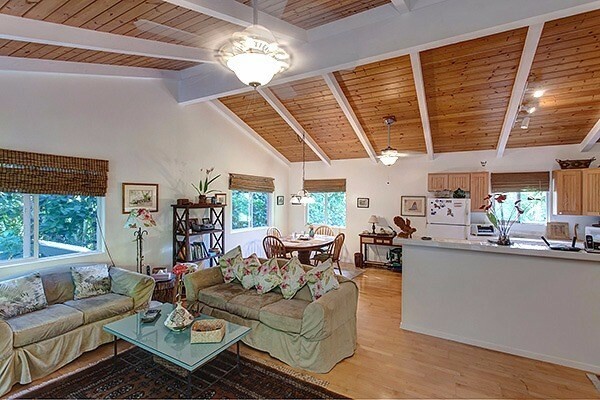 Home can be sold turn-key.